yes.. it's hard to believe... even to myself.. lol i actually bought a mask for myself.. :p probably under the influence of miss LB and her theory that woman after 24 will start to age alot faster.. hence i bought my first collagen mask to give it a try as a treat..
i guess like what the store lady advised, i probably wouldn't use it often since i have oily face. 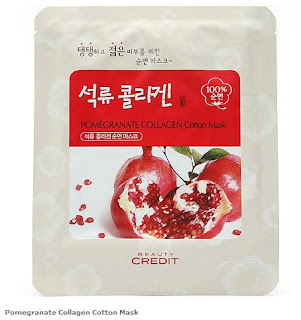 btw.. i'm curious, the instruction said something along the line about following the full skin care procedure after removing the mask.. what is that? all i did was to just was my face with soap... :S hopefully my $6.90 dont go to waste because of that..